Australian artist Jimmy C was back in London yesterday where he painted a new piece of what he calls ‘Street Heart’ in Whitby Street, Shoreditch, following the tagging over of his previous Heart piece there. He also collaborated on a larger piece with Uriginal from Barcelona, interpreting a Lucian Freud image. 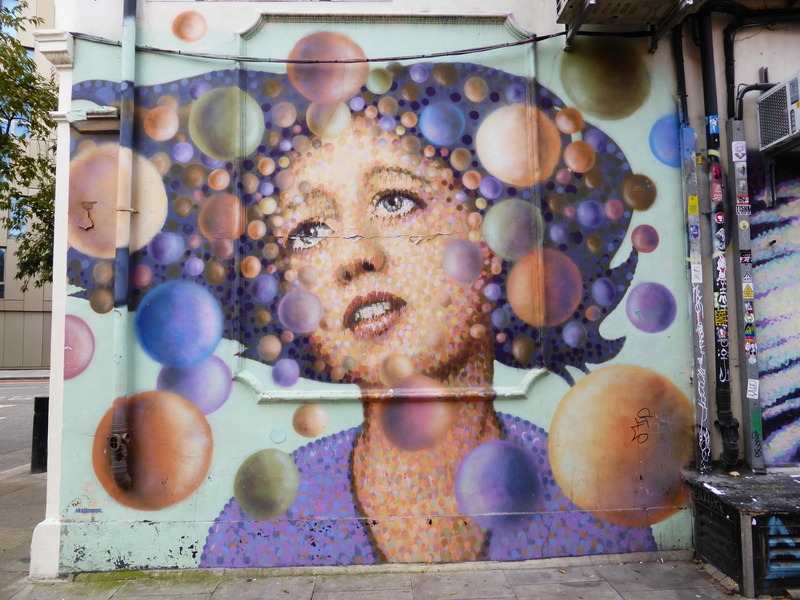 Uriginal is an urban artist who works with colour and geometry and is influenced by a mixture of pop heritage and the kaleidoscopic inspiration of Gaudi’s mosaics, for the most part he paints in his native Barcelona. In contrast Jimmy C’s style is influenced by Pointillism and the aboriginal culture of his native Australia and started painting on the street in the early 1990’s as a part of the then growing Australian underground graffiti movement. In the process he has become a globally recognized artist who has painted the four corners of the globe. 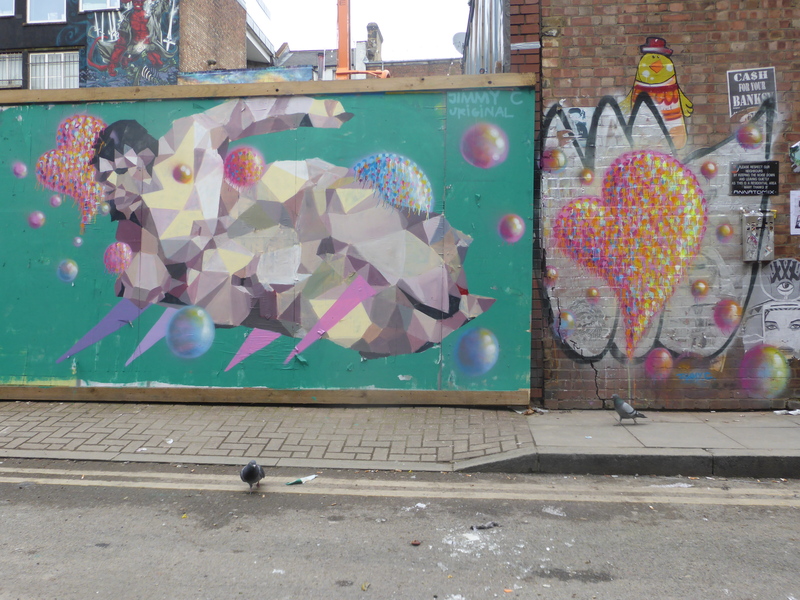 I can certainly see why, Jimmy C is one of our absolute favourite artists here at London Calling, it’s always an absolute pleasure to stumble across a work by Jimmy C, even if you have seen it before, and this was the first collaboration involving him I have seen in London. I hope to see more from this great artist throughout 2015. 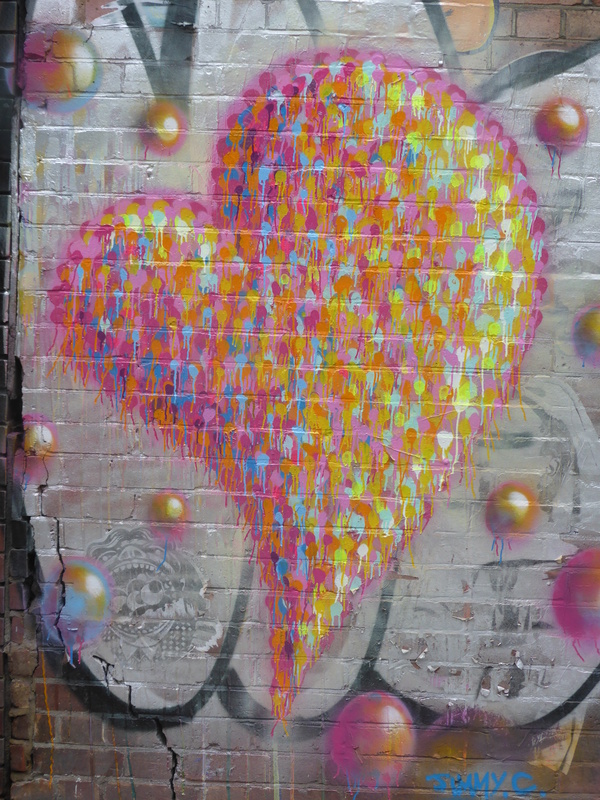 I have also included a picture of his previous piece of Street Heart on Whitby Street, along with the two other pieces that can currently be seen in in the same street. Well worth a visit, his works are so encapsulating. I love the fusion of Cubism and Pointillism elements to create the striking piece. It’s also great to be able to see which aspects if the work where created by the respective artists, both of their key styles shines through and contributes to the whole. Jimmy C & Uriginal collaboration. 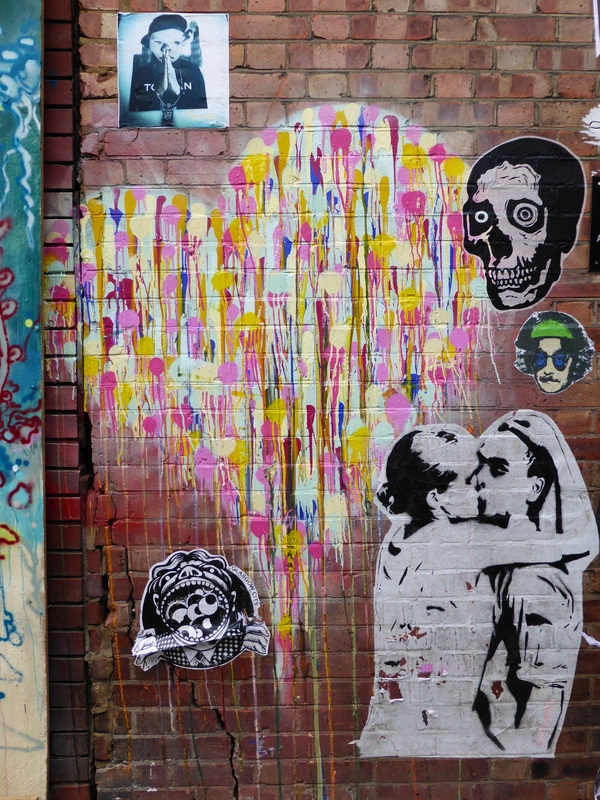 Jimmy C’s ‘Street Heart’ 2015. 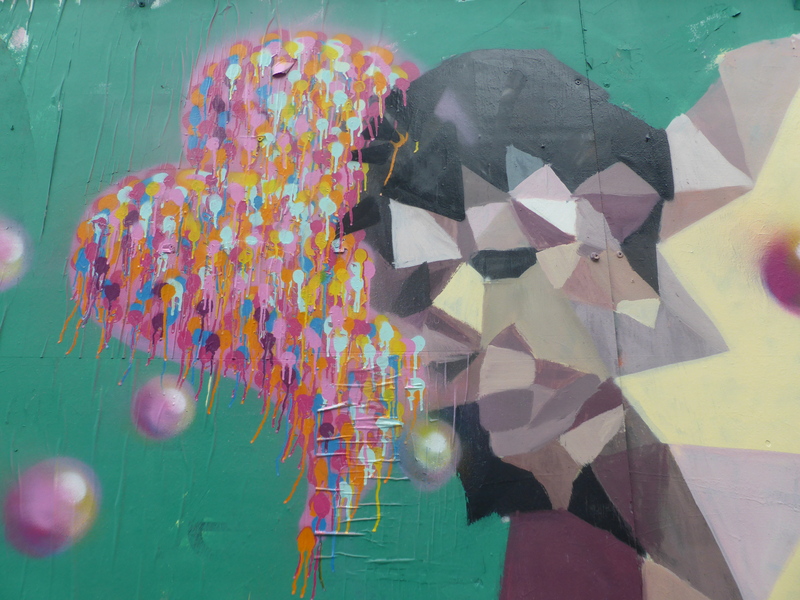 Jimmy C’s ‘Street Heart’ 2014, no longer there. This piece was painted in 2010. 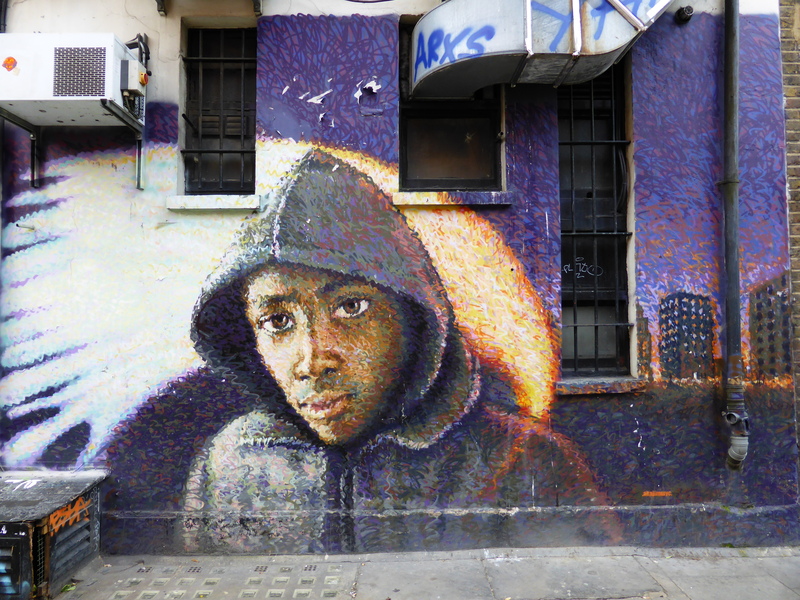 This piece was painted in 2011 and was inspired by the London Riots of that year.